The Barrons like to think of themselves as a typical American family. Never mind the fact that Todd drops bombs on Afghan targets one minute and sits down to dinner with his wife and kids the next. A drone pilot stationed in Nevada, he manages to compartmentalize the conflicting demands of combat and family life until their son Max is diagnosed with autism. His wife, Rose, deploys an army of specialists, surfing the outer limits of the world wide web for a miracle cure. But Max clings to compulsive isolation and order—wearing the same tan clothes, eating the same round foods, lining up trucks or Legos or whatever else needs to be lined up—to fend off the chaos of normalcy. Unhinged by their son’s prognosis, Rose resorts to New Age magical thinking to cope with her own sense of losing control. Todd feels curiously indifferent, watching his wife and son retreat further and further into la-la land. It’s a familiar feeling, symptomatic of his Chair Force job waging virtual war. The Barrons continue to drift apart until a gifted behavioral therapist intervenes, reviving the dream of discovering a common language. The Home Front is both deeply personal and culturally relevant, a family portrait of the uncanny connection between autism, drone warfare, and virtual reality. Without a real diagnosis of the problem, the prognosis isn’t good. 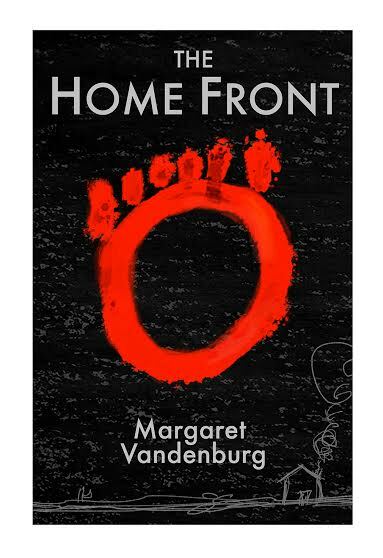 THE HOME FRONT By Margaret Vandenburg 211 pp. Permanent Press, $28. While Todd fights a virtual war, his wife turns to virtual spirituality, spending money they don’t have on a New Age website called The Source, whose ­founder/guru assures Rose that autism is a gift and Max a prophet. Max’s occupational therapist, meanwhile, is often forced to mediate between husband and wife. Todd, who survived three deployments in Iraq, misses flying actual combat missions: “Increasingly, war was a spectator sport, something that unfolded on screens rather than on battlefields.” He worries that drone operators think of war as a video game. This tension between real and simulated experience occurs throughout the novel. Max’s self-stimulatory behavior, however unsettling, is a response to genuine sensory input, whereas his parents and older sister spend most of their time in virtual worlds, interacting with computers. Vandenburg’s depictions of both autism and the drone program are convincing, and she moves confidently between Rose’s and Todd’s perspectives. The novel is schematic, but also profoundly timely. Elliott Holt is the author of a novel, “You Are One of Them.” Her fiction has appeared in the 2011 Pushcart Prize anthology and elsewhere. A version of this article appeared in print on May 3, 2015, on page BR30 of the New York Times Sunday Book Review. "Each family’s autism journey is unique and specific, yet there are common threads among them. In allowing us to go on this journey with the Barron family, The Home Front makes real the challenges, and ultimately, the rewards to be found along the way." Vandenburg has a clear understanding of both modern warfare and autism, and her depiction of the Barrons’ coping mechanisms is touching, realistic, and delivers a satisfying ending. Margaret Vandenburg’s The Home Front combines a fighter pilot and his autistic son, drone surveillance and domestic decoding, an overly determined mother, desert joyrides, hamburgers with relish, and a questionable online guru to produce a compelling portrait of an American family on the verge of a nervous breakdown.